Time for a new Flash episode. And in a very badly missed opportunity, it seems we have a Prison Break episode but none of the cast from that show. Let’s react! 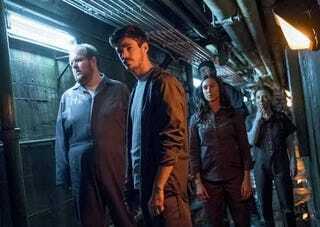 Episode Info: After hearing that Amunet has struck a deal to buy all of the metahumans in Iron Heights, Barry must decide if he should expose his powers in order to save his cellmates. After a visit from an old friend, Ralph is reminded of his shady past and wonders if he’s really a changed man.